Well run facility with excellent amenities for those who are or choose to wait. 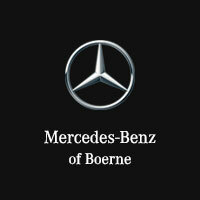 Don't hesitate in choosing this facility to purchase your next Mercedes or quality pre-owned vehicle. This dealership runs like a well-oiled machine. My service appointment, easily booked online for the next morning, began with a pleasant and helpful discussion with my service advisor, Tracy. Tracy already had my file together, making the process so easy. She also had a courtesy car booked for me. The loaner department staff was just as pleasant, and I got to enjoy a lovely day in Boerne while my car was serviced. Are service advisor Daniel always goes above and beyond, Gabriel the shop manager does the same Mercedes-Benz of Boerne is always a world-class experience. My mom bought a car here yesterday. Fantastic experience. Incredibly helpful and nice staff. She had questions when she got home, and called back to the dealership, and got a call back within 5 minutes and they walked her through everything. I can't say enough about how great they were to my family! Highly recommend them.